In the past, we’ve talked about how WordPress squares up with other popular content management systems like Drupal, Joomla, and even Squarespace. 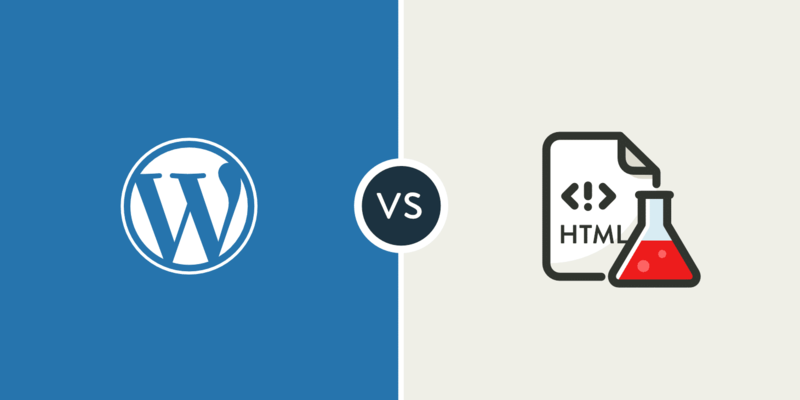 But what if you’re trying to decide between WordPress vs static HTML for your website? At a basic level, this is kind of a general debate between using a database-driven content management system (like WordPress) or writing all of the HTML/CSS yourself along with possibly using a framework. To help you make your decision, we’ll explain what these terms mean and then jump into some of the pros and cons of each approach. The important difference is in how that HTML comes into existence. With static HTML, that story is pretty simple. You, or your developer, writes the code (including your content). Then, once it’s on the server, it’s always like that. There’s no background processing going on – your site is always right there in its finished form. What Is a Content Management System, Then? Above, we told you that WordPress is a content management system, but we didn’t really explain what that means. A content management system, often abbreviated as CMS, is software that helps you create, manage, and modify content on a website without needing to interact directly with the code. Similarly, if you ever wanted to edit that content at a later date, you could just go in and edit it using that same editor, rather than needing to directly edit the static HTML file on your server. We’ll get into some of the pros and cons of a static HTML website in a second, but let’s start with some of the reasons that over 33% of the entire Internet is now using WordPress. The biggest benefit of WordPress is that it can almost completely eliminate code from the day-to-day management of your website. Instead, most of the actions that you’ll want to take can be performed using a graphic interface. Unless you live and breathe HTML/CSS (and probably even if you do), this approach is going to make it a lot easier to manage every aspect of your website. On the other hand, with a static HTML site, you control how your site looks using your own CSS. Not only is this time-consuming to set up in the first place, it will be similarly time-consuming if you ever want to radically change how your static HTML site looks in the future. Yes, there are CSS frameworks you can use to speed this process up, but it still requires more work and expertise to be able to manage. We know this first hand due to the fact that a majority of the Kinsta website was created with good ole Github commits. Yes, we utilize a WordPress theme and framework, and our code is wrapped in WordPress functions, but most of what you see on our site was created by our team. This can sometimes allow for greater flexibility, but it also requires having developers on staff. If you want to save time and don’t have full-time developers, going with a pre-built WordPress theme can drastically speed up your workflow. Additionally, you need to worry about making all of your CSS responsive (AKA look good on mobile), whereas almost every single WordPress theme is responsive by default nowadays. The difficulty gap gets even bigger with larger features. Want to add a forum to your site? Good luck doing that on your own. But with WordPress, you just need to install a forum plugin. You can even quickly tack on eCommerce or social network functionality. 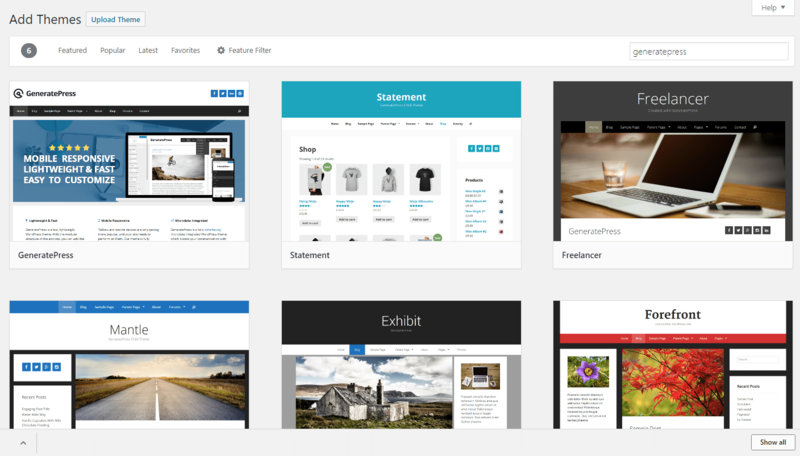 The combination of themes and plugins, along with WordPress’ general functionality as a content management system, mean that you can quickly spin up even complicated websites. Static HTML can be quick for a very basic site with just a few pages… but if you need any non-standard functionality, WordPress is almost certainly going to let you build a site faster. Want more advantages? Check out these 10 good reasons why you should use WordPress. Are There Any Cons to Using WordPress? You’ll find some people saying things like “static HTML websites load faster” or “static HTML websites rank better in Google.” But some of this should be taken with a grain of salt. 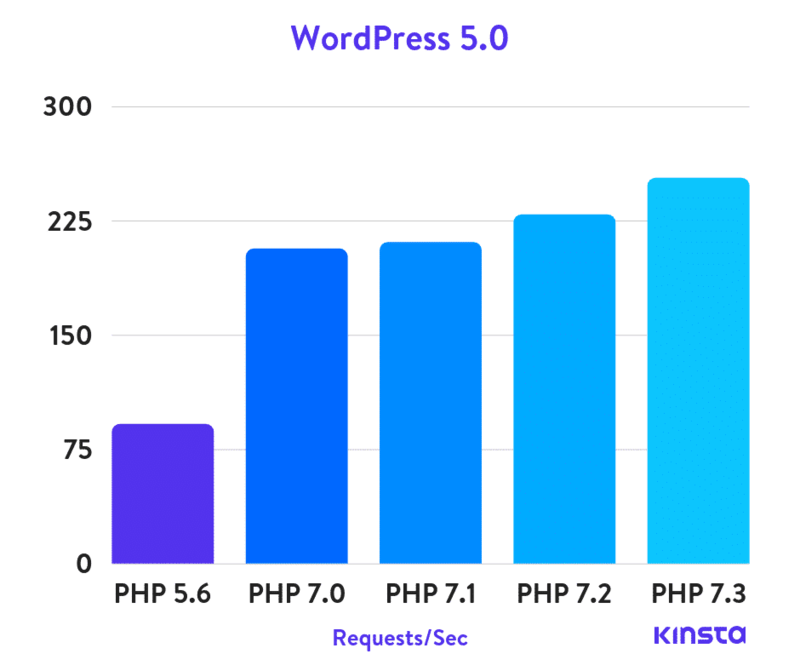 While it’s true that PHP and a database introduces additional load time and delays, it’s not that difficult to get WordPress load times under one second – which is plenty fast. There are also ways you can easily negate PHP and database delays by using caching to serve static HTML versions of your pages. This means every page load can essentially load lightning fast, just as it would with a static HTML site. 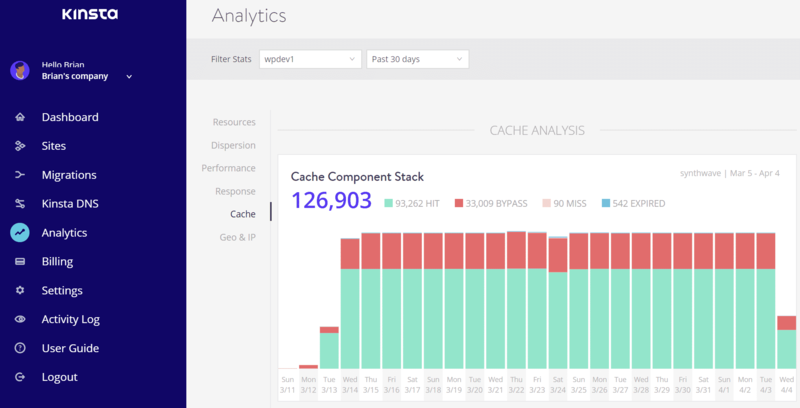 How much does caching impact a WordPress site? Here is a quick test on a WordPress blog before and after cache. We first ran a test with cache disabled on the WordPress blog. As you can see there is a significant delay in the first HTML DOC load. This is due to it not serving from cache on the server. We then ran a test with cache enabled on the WordPress blog. Nothing else was changed. As you can see there is a massive improvement. In fact, simply serving up the initial page from cache on the server decreased the load time by 32.2%. 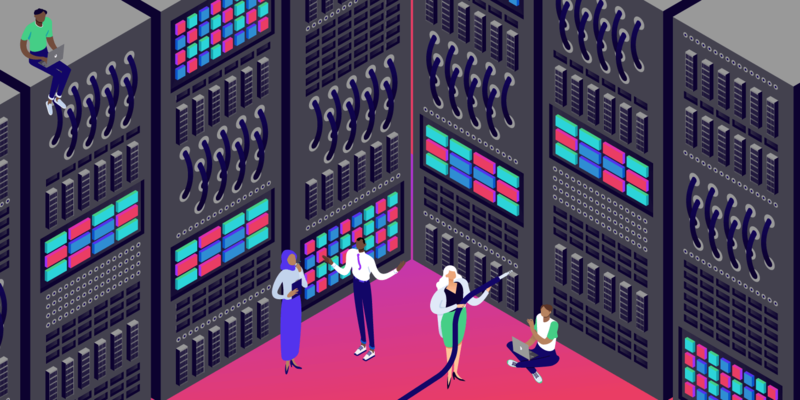 Kinsta automatically handles caching at the server-level for all WordPress hosting clients. This means you don’t have to hassle with third-party caching plugins. When it comes to the ranking rumors you might hear, there are great WordPress SEO plugins that let you control every aspect of your site’s technical and on-page SEO. If WordPress sites really performed worse than static HTML sites in the search rankings, you wouldn’t see it being used by massive platforms like The Wirecutter or TechCrunch. There are a few small disadvantages, though, and the first is maintenance. While choosing quality managed WordPress hosting can eliminate much of the worst maintenance, you’ll still be responsible for making sure that the WordPress core software, plugins, and themes are updated and compatible. This is fairly easy nowadays, but it is something that you don’t need to do with a static HTML website. The second disadvantage would probably be quality. Due to the extreme popularity of WordPress, there are a lot of bad plugins and themes out there. And free solutions sometimes just drop off the map entirely. Sorting through the bad to find the good can be time-consuming. You heard from WordPress – but now let’s dig into some of the pros and cons of a static HTML website. We kind of talked about this a second ago, but let’s rehash it quickly here because it is one of the major benefits of static HTML. When you use WordPress and themes/plugins, you’re responsible for updating all that underlying code and making sure there aren’t any compatibility issues. While this is pretty simple (you usually just need to click a button), it is something that you need to do to keep your website secure and functioning. On the other hand, if you’ve written clean static HTML, you should be able to pretty much leave things alone and never worry about updates. While WordPress lets you access all the underlying code to your site, a static HTML website will make it a bit simpler to input certain types of markup. Instead of needing to deal with theme template files and the WordPress loop, everything is right there in front of you. For example, while there are schema plugins for WordPress, you can more easily control schema markup on a static HTML website. What Are the Disadvantages of Creating a Static HTML Website? While a static HTML website is certainly fine for a basic website, the main issues come about when you try to scale up, either in terms of the amount of content or functionality. Adding or editing content isn’t user-friendly because you’ll need to dig into the code. Adding new functionality requires that you code it yourself. Changing how your site looks requires rewriting your CSS. Additionally, unless you actually know HTML/CSS yourself, all of these things will also require paying a developer, whereas WordPress would let you do them yourself, for the most part. Static website generators differ from the above two options slightly as they take a content management system’s content, such as WordPress, combine it with a theme and generate static HTML pages. Jekyll is one of the most popular ones, which you can use to host your whole website or blog on GitHub Pages and push your new content with one command. The downside? It’s not easy (to say the least) to set it up, and even for developers, it can be time-consuming. If you have a free afternoon to learn more about Jekyll then take a look at this article by Mike Neumegen. Alternatively, a flat-file CMS like Grav can give you easier content management while still avoiding the need for a database. There won’t be any “real-time” dynamic content on your site, at all. No recommended articles for you or widgets that change for each visitor. You can’t use WordPress’s built-in commenting system. Essentially, everything that is server-side (PHP) generated will become static and updated manually. Static website generators will create a complete HTML page based on your content and once it’s done, no matter how many people visit your site, it won’t be regenerated; not unless you type in a specific command on your computer. There are a couple of WordPress caching plugins that you can use to create static HTML files of your posts and pages, but if you’re using Nginx as your web server (if you aren’t, you really should, but that’s a topic for another article) you can just flip the full page caching switch on and set it to expire in a day or a week. The longer period you can “afford” to set it to, the better. What happens next is that the first visitor will have the server generate the complete, cached HTML files and any consecutive visitors within the predefined expiration period will get served those files. Here a Kinsta, our servers use the nginx fastcgi cache module for page caching. How to set it up, you ask? Well if you manage your own servers here’s an extremely detailed guide by DigitalOcean that you can follow. If you’re a Kinsta client, this is automatic for every WordPress site and the cache by default expires every one hour. 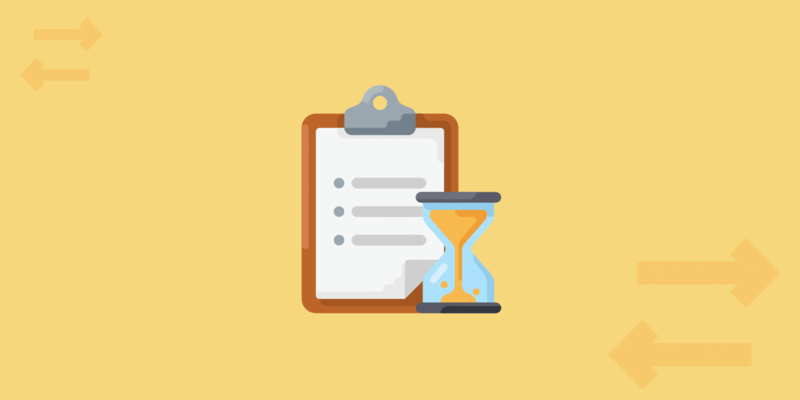 You can, however, open up a ticket with our support team within your MyKinsta dashboard and request a longer cache duration. Just please make sure you fully understand the consequences of doing so. You can also utilize Cloudflare page rules with WordPress and serve your entire site from cache. WP Bullet has a great guide on how to set up Cloudflare cache for your WordPress posts and pages. This can be very beneficial for sites that are launching an event or are expecting a huge surge of traffic. Remember though, if you are serving entirely from cache, you will most likely run into issues with WooCommerce checkout, your WordPress admin toolbar, and other various things that you’ll need to either fix or find workarounds. We don’t generally recommend serving your entire site from cache unless you have time to properly test everything. For example, when it comes to WooCommerce: you can cache the “static” front page, categories, product pages (if you don’t change them too often) and then yes, it will load almost instantly! But as soon as someone clicks “add to cart” you’ll have to switch to a non-cached version otherwise they’ll see the cart always empty. 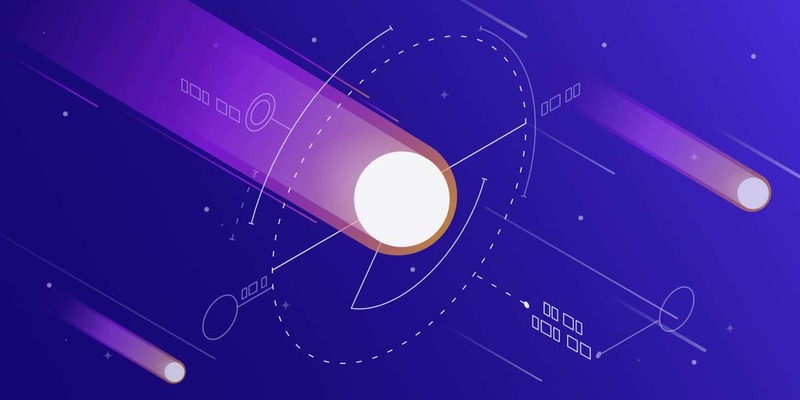 Here at Kinsta, we have server-level rules in place for ecommerce solutions and blogs to ensure what should be cached is, and what shouldn’t, isn’t. A few examples include certain WooCommerce and EDD pages like cart, my-account, and checkout, are excluded from caching. And users automatically bypass the cache when the woocommerce_items_in_cart cookie or edd_items_in_cart cookie is detected to ensure a smooth and in-sync checkout process. This provides you with a fasting loading WordPress site, but without having to worry about things breaking. 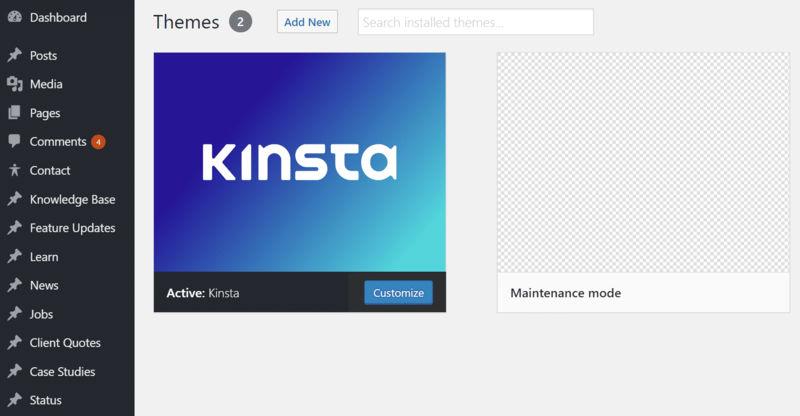 Don’t want to host your entire site with Kinsta, but want to take advantage of the dynamic functionality for your WordPress blog? You might want to look into loading your site over a reverse proxy. We support these types of setups. Now for the million dollar question… If you’re just building a small website that’s unlikely to change or require new content, static HTML is a fine approach. But for anything else, WordPress is almost certainly going to be a better choice. This is especially true if you don’t access to a developer. Its ease of use, combined with its extensibility, are the main reasons why it’s now powering over 33.6% of all the websites on the Internet. Now over to you – would you ever build a site with static HTML over WordPress? Or have you gone down the static website generator route? I would suggest Grav for mid-static sites, even thus it has evolved very quickly and it is becoming quite versatile and dynamic. 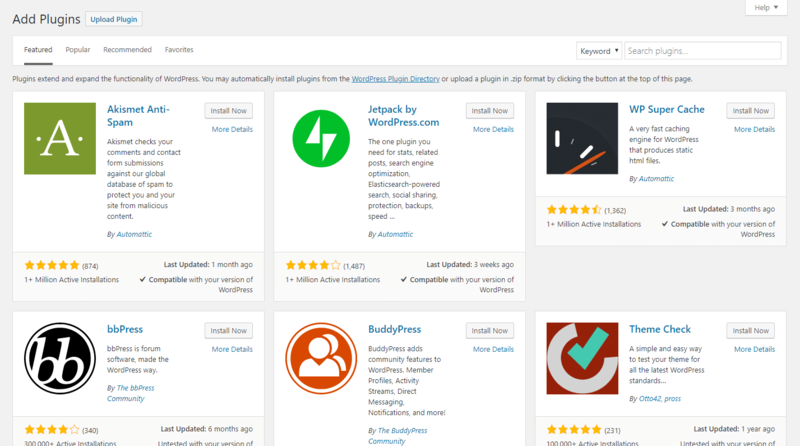 Converting WordPress to Grav is not that difficult since they provide a plugin for it. Grav was built by Joomla! Developers, by the way. For plain, static sites I would say Foundation Framework would work best since it is more lightweight than Bootstrap and with a shorter learning curve, and if you combine it with Atom snippets, then you have a winner when it comes to update content. 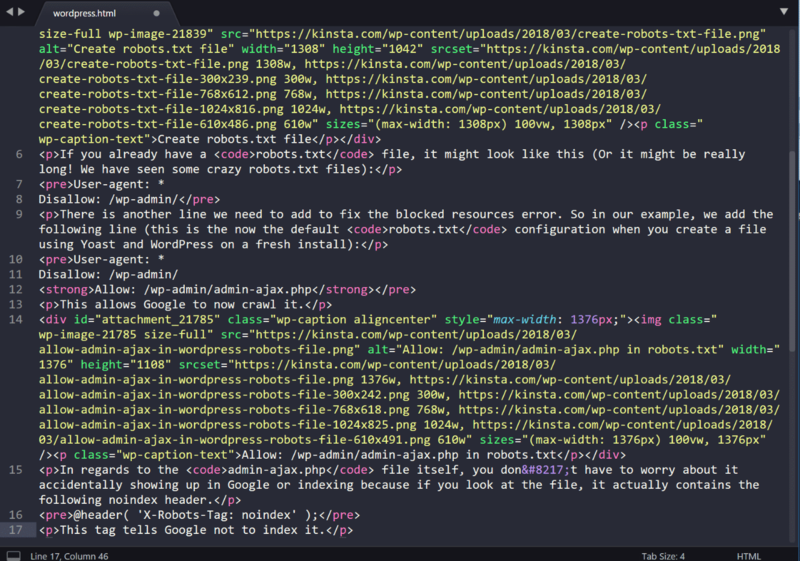 I must admit, I love coding static sites more than using WordPress. ;) And of course I use a static site generator, mainly Hugo. Wich is proven to work even with big sites such as Smashing Magazine. I always kind of got the feeling that static HTML was better for SEO. This article definitely helps me understand the debate a little more clearly. I’ve seen some devs make some really great sites without a CMS and they were just so lightening fast! We just switched, not by choice, from static to WordPress, and I don’t code, and personally I dislike the WordPress interface and everything about it. We have to consistently dig to find what we are wanting to change, management wise it is a nightmare, trying to give access to those who don’t even understand computers the ability to change their section of the page is nearly impossible. No thanks, I don’t even like to program or code and personally I would rather go back to straight coding rather than this WordPress. I am always trying to find ways to convince powers that be to just let us revert back to HTML coding so users can do their changes easily.